We are delighted to announce Kirsty Pollard, a link teacher in Mosaic’s Primary School Programme has been awarded Mosaic’s Hero of the Term. Kirsty has worked with Mosaic for three years and her support and commitment of the children has helped to develop their confidence and build their personal aspirations tremendously. Kirsty’s one piece of advice she would give to young people in order for them to succeed would be, aim high, work hard and have a back-up plan just in case. She believes there is nothing that you can’t achieve without patience and determination. 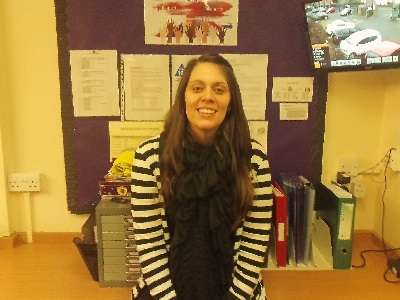 Regional Manager, Becky Mitchell commented; “Kirsty deserves to be recognised as a hero because from day one of working with Mosaic she showed great commitment and demonstrated all the key skills and attributes of a Mosaic Link Teacher. At the last session that I observed, it was very clear how high a level of preparation Kirsty made in terms of the delivery of the programme, and the visible difference in the girls and their parents. They never wanted to leave at the end of the session!